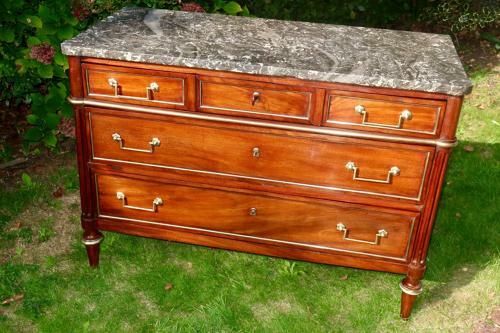 A fine quality French Directoire Commode in Mahogany, of smaller than usual size, excellent colour and condition having been recently cleaned and waxed in our workshop, with original handles, escutcheons ,key and marble. With three drawers all running well. Good proportions not being too tall, a very elegant little Commode.